George A Mather and Larry A Nichols Investigates the mysterious world of freemasonry, with itsancienttraditions,secretrituals,andseeminglyharmlessbeliefs. About "Masonic Lodge (Zondervan Guide To Cults & Religious Movements Series)"
Larry A. Nichols is the pastor of Our Redeemer Evangelical Lutheran Church in Greenville, Rhode Island. He is coauthor of 'Masonic Lodge' in the Zondervan Guide to Cults and Religious Movements. Dedicated to the loving memory of Harold T. Dodge, who was a past Massachusetts District Deputy Grand Master and a 32nd Degree Consistory Order of the Eastern Star. More important, he was a loving father and faithful husband who now rests in Christ. Masonic Lodge Part I: Introduction I. Historical Background A. The Problem of Determining the Origin of Freemasonry 1. The history of the Masonic Lodge (also known as Freemasonry) is not easy to recount. According to Dr. Alvin Schmidt, one of the world's leading scholars on fraternal organizations, Freemasonry officially began in London, England in 1717 at the Goose and Gridiron Tavern. This conclusion is supported by the consensus of scholars and historians. 2. Despite this scholarly consensus, the origin has been disputed by members of the craft itself, who claim various origins dating back to the creation of humankind. B. Spurious Masonic Accounts of Their History 1. The Masons claim ancient roots as a way of lending credibility and stature to their organization. a. Some well-known accounts (1) Freemasonry dates back to the time of Adam and Eve, and the fig leaves (Gen. 3:7) were actually the first Masonic 'aprons' (aprons are used in initiatory ceremonies in Freemasonry). (2) Freemasonry dates back to the time of Solomon who employed stone masons to construct the temple in Jerusalem. b. Other unsubstantiated claims (1) Freemasonry is tied to the builders of the Tower of Babel, or the story of Noah, or the account of the life of the biblical Seth. (2) Masons are the descendants of the Knights Templar. (3) The Masonic edition of the Bible claims yet another link to antiquity when it states: 'It is admitted that Freemasonry is descendent from the ancient mysteries. These were first arranged when the constellation Leo was at the Summer Solstice. Thus the antiquity of Freemasonry was written in the starry heavens.' 2. It is not surprising that Freemasonry incorporates its own story into various stories from the ancient sourcebook of Jews and Christians, namely the Bible. Historically, Freemasonry was born and bred upon the Christian soil of Western Europe after Christianity had been entrenched there for nearly eighteen centuries. C. True Origins of Freemasonry 1. Historians trace the beginnings of the Lodge6 back to London, England in the year 1717; the earliest recorded minutes of a meeting date back to 1723. 2. Freemasonry encountered much opposition from the Roman Catholic Church due to its secretive nature, religious character, and rites. (Freemasonry was never recognized as a Christian institution even though it enjoins such common Christian elements as morality, citizenship, and good ethical conduct.) 3. It was during this early period that James Anderson wrote his Constitutions, which revised a fourteenth-century stonemason's Christian guidebook entitled Gothic Constitutions. a. Anderson's work introduced elements of deism (see also Part II, section III.C.3--4). b. It also opened up the possibility for the formation of new Lodges as offshoots of the British system. 4. In 1717, James Anderson, George Payne, and Theopholis Desaguliers united their efforts to form the Grand Lodge; Lodges later sprang up in England and, on the continent, in Holland, Germany, France, and other European countries. 5. Attempts had been made to bring all the Lodges under one Supreme Lodge. a. This never took place. b. Each Lodge is governed by its own constitution and laws. 6. There are many instances where Grand Lodges have united to work together. Masonic Lodge * PART I: INTRODUCTION a. For example, in 1912, the individual Lodges in Alexandria, Virginia united to form the George Washington Masonic National Memorial. b. Out of this effort, a conference sprang up which called together all the masters of the Grand Lodges throughout North America. D. The Lodge in North America 1. The United States a. Freemasonry experienced its greatest success in the United States. Indeed, few religions and social institutions of the world have overlooked America. b. The London Lodge chartered the first official Lodge in America: St. John's in Boston on July 30, 1733. c. The first indigenous Lodge was founded in Savannah, Georgia, in 1734. d. A Jew named Moses Michael Hays introduced the first Scottish Rite Freemasonry into the United States in the 1760s. e. During the 1800s, several thousand Lodges were erected throughout the United States, making it a significant and powerful institution in America. 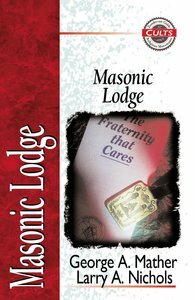 (1) The Lodge has played a key role in American religious, political, and social life since then. (2) Men from all walks of life have been Lodge members. Among the prominent Masons in American culture are astronauts Edwin Aldrin, Virgil Grisson, and Leroy Cooper; actors John Wayne and Clark Gable; comedian Red Skelton; Henry Ford; John Philip Sousa; and General Douglas MacArthur. Fourteen United States presidents, including the nation's first, George Washington, eighteen vice presidents, and five chief justices of the Supreme Court were all Masons. f. Also during the 1800s, the Lodge underwent intense persecution. Mr. William Morgan appeared to be responsible for igniting the flames by passing out anti-masonic tracts and literature which exposed the Lodge's secrets and rituals. g. Morgan disappeared in 1826 and was never heard from again. His apparent death (many believed the Masons were responsible) only exacerbated the mounting anti-Lodge sentiment. h. Historian Sydney Ahlstrom observed that the Masons in America came largely from those European immigrants who were only nominally religious, unaffiliated, or anticlerical. (1) Many of these immigrants brought with them memories of the church's hostile attitude toward the Lodge in Europe. (2) Consequently, those who had a need for ritualism and community outside of the auspices of the Christian church satisfied that need through Lodge membership. 2. Canada and Other Migrations a. As the Lodge made its way through Europe, it also came to colonial America, Canada, and even into South America. (1) Canada's first Lodge was built at Capre Breton in 1745. (2) The Canadian Lodge played a major role in the establishment of the Jerusalem Lodge. b. Lodges sprang up rapidly in other parts of the world as well, including Brazil, Israel, Mexico, the West Indies, and numerous other locations. c. Jews were allowed membership in the Lodge. The wording of Constitutions certainly seems to permit it. II. The Masonic Families A. The Blue Lodge 1. The Blue Lodge is regarded as the most original and authentic version of Freemasonry. 2. All Master Masons undergo initiation into the Blue Lodge (i.e., a person first enters Freemasonry through the Blue Lodge). 3. There are some general requirements for Lodge membership. a. In general, membership in the Lodge, as well as the Scottish Rite, includes the requirement that the candidate be a white male of twenty-one years of age (see the section on racism at II. F. below). b. Today some Lodges do allow black members, though many continue to resist black membership. 4. The Blue Lodge was formally called 'The Order of Ancient, Free and Accepted Masons'; it is also variously known as 'Symbolic Craft Masonry' and 'Craft Masonry.' 5. Members participate in oaths sworn in secrecy, never to be betrayed even under pain of death. a. Most Masons do not take the oaths literally or seriously. b. Many Masons, especially today, rehearse them as a matter of formality, and uncritically accept them as part of what it means to be a member of the Lodge.